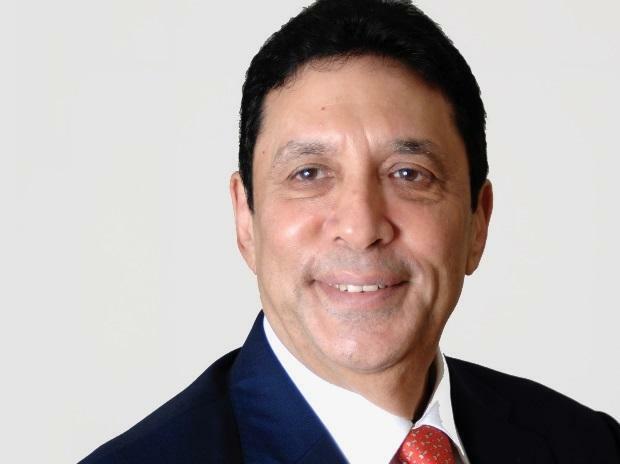 Keki Mistry, Vice Chairman and CEO, HDFC. HDFC AMC IPO opens for subscription today. Should you invest? Top industrialist Keki Mistry, who has become the first person to hold a board position at listed Indian firms having market value of over Rs 17.5 lakh crore, believes the upcoming national elections would give a big boost to the rural economy. Mistry, vice chairman and managing director at financial sector conglomerate HDFC Ltd, also said a host of reforms initiated in India over the past decade would lead to positive outcomes over the next years for the economy. "Historic trends have shown that union elections spur up rural economies and help local entrepreneurs. The upcoming elections are expected to help rural demand," Mistry told PTI on his expectations about opportunities before the Indian economy in 2019 and beyond. The general elections are due in the next few months and there have been apprehensions in some quarters that the performance of the Indian economy and the markets may get impacted due to the uncertainties generally associated with the poll season. Mistry also said the thrust on housing by the government, the demand for housing finance and the visible benefits of reforms, such as those from the new regulatory regime of RERA (Real Estate (Regulation and Development) Act), would be positive for the real estate sector, particularly affordable housing. Besides HDFC Ltd, 64-year-old Mistry is also on the board of four other group firms -- HDFC Bank, HDFC Asset Management Company Ltd, HDFC Standard Life Insurance Company Ltd and Gruh Finance Ltd.
Outside the group, he is also on the board of Torrent Power, while recently he was appointed as independent director on the board of Tata group behemoth TCS (Tata Consultancy Services), which is the country's most valued listed company. Mistry is scheduled to attend his first board meeting of TCS, which has a whopping market cap of over Rs 7 lakh crore, next week on January 10. HDFC Bank, the country's third most valued firm, itself has a market capitalisation of about Rs 5.75 lakh crore, while that of HDFC Ltd (sixth most valued among listed Indian firms) is approximately Rs 3.39 lakh crore. HDFC AMC commands a market valuation of over Rs 32,000 crore, while HDFC Life is currently valued at about Rs 79,000 crore. Gruh Finance has a market cap of over Rs 23,000 crore, while that of Torrent Power, where Mistry is an independent director, is about Rs 12,500 crore, as per BSE data. Together, these seven listed Indian firms have a market cap of close to Rs 17.7 lakh crore -- the highest for any person to hold board positions there. A Chartered Accountant from the Institute of Chartered Accountants of India (ICAI), Mistry has over three decades of experience in the banking and financial services domain. He joined HDFC Ltd, the country's leading housing finance company, in 1981 and was inducted to its board as an executive director in 1993 after holding several positions over the years. He became Managing Director in 2000, then the Vice Chairman and Managing Director in October 2007 and the Vice-Chairman and Chief Executive Officer of HDFC Ltd in January 2010. As part of the top management team, Mistry has played a critical role in the successful transformation of HDFC into India's leading financial services conglomerate by facilitating the formation of various group companies, including HDFC Bank Ltd, HDFC Asset Management Company Ltd, HDFC Standard Life Insurance Company Ltd and HDFC ERGO General Insurance Company Ltd. He began his career with AF Ferguson & Co in 1975, followed by short stints with Hindustan Unilever Ltd and Indian Hotels Company Ltd. Besides the seven Indian listed firms, he is also on boards of CDC Group (London), Greatship (India) Ltd, Griha Investments - Mauritius and Griha Investments Pte Ltd - Singapore. He is also on the advisory boards of some Indian corporates as well as on various committees including those formed by regulatory bodies like Sebi.